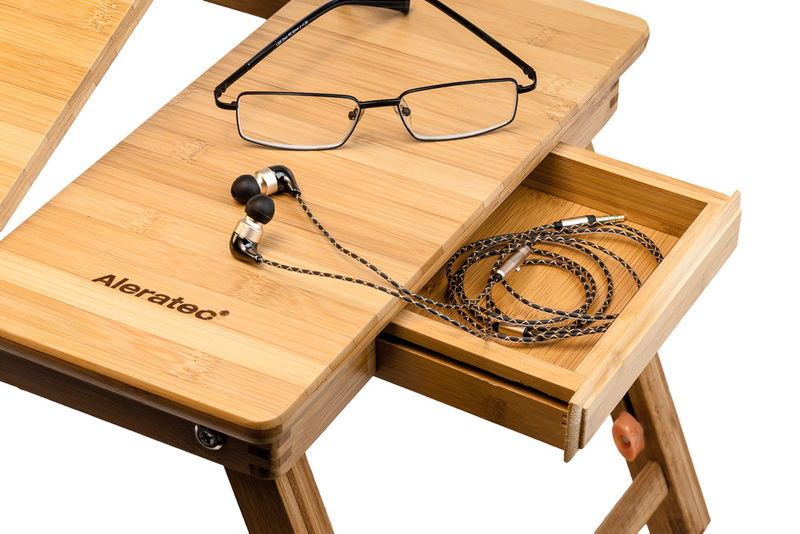 Aleratec's multi-functional bamboo adjustable table turns your bed, floor, sofa, or other environment into a convenient work space. 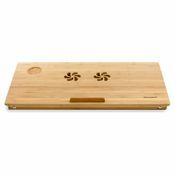 Made of solid bamboo, this sturdy tray has an adjustable tablet top with stopper for laptops or tablets that can be raised or lowered to the perfect height and viewing angle. Using a laptop in bed or reading your tablet on the sofa can be awkward. 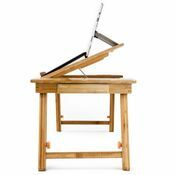 It's hard to find the right position and hands and necks get tired. 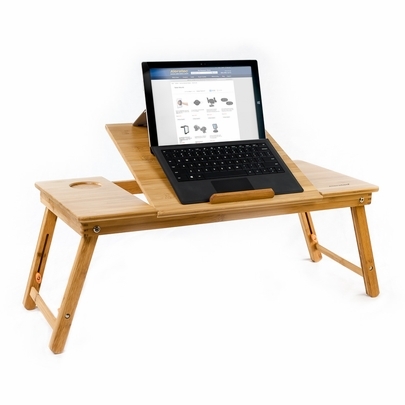 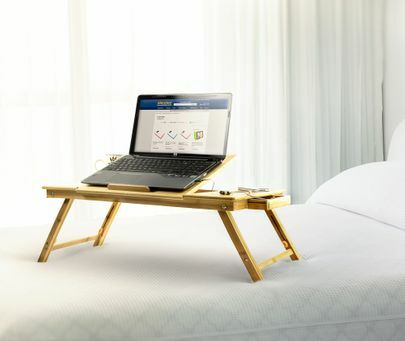 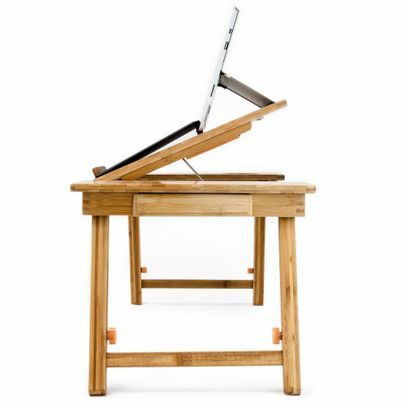 With Aleratec's bamboo stand, you can read or work in comfort for hours, and when you're done, simply fold it up and store it under the bed or in a closet for next time. Additionally, the bamboo surface is vented with cooling fan helps dissipate the heat from your laptop. We designed this tray for both right and left handed users with work space on both sides of the tray. This versatile stand will last and is made of durable bamboo wood responsibly harvested a renewable resource, so you can be sure that you've purchased an eco-friendly product. 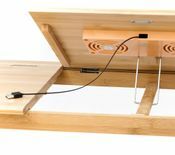 Customers love the handy side drawer for storing pens, flash drives, a mouse or the removable stopper that keeps your laptop or tablet secure. 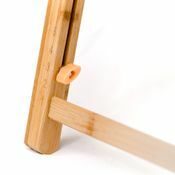 The finish on this stand is extremely smooth so it won't snag on comforters or blankets and you can also use as a breakfast in bed tray.